If I ever relocated in the south, it would be to Charleston, South Carolina. In mid-May, Mike and I took our second trip ever to Charleston and I’d be lying if I said I hadn't daydreamed about the FOOD all year long. But Charleston’s charm runs much deeper than the dining choices. The steepled skyline, the historic mansions, the rich coastal culture. Our plan for this trip was to catch fish, eat, drink, eat, explore, and eat and drink some more. Which is exactly what we did. Here’s a rundown of the places we found ourselves. We booked an Airbnb in Mount Pleasant which turned out to be the perfect “Rest Nest” for two, a remodeled one bedroom apartment above a garage. The neighborhood was quaint and historic with nearby shopping, bars and coffee shops. It is also centrally located to Sullivan’s Island and Downtown Charleston, only a quick 15 minute drive away. Let's just start with my favorites of the trip. We booked a trip with Capt. Jamie Hough of Redfish Mafia Charters and I was able to catch my first South Carolina redfish. The weather wasn't in our favor, but Capt. Jamie worked hard to make it happen for us. We also reeled in trout and a shark and got to enjoy a new perspective of Charleston from sea. Another highlight? Test riding the new Outlaw skiff by Drake Boatworks, a badass skiff-building operation by the Drake brothers, Jordan and Wilds. With the recent launch, they've been hauling the boat around welcoming folks to try it out and we conveniently happened to be in the right place at the right time. My heart is set on making this boat my little river runner one day. One of the best ways to explore Charleston is on foot. We picked a day to sightsee and walked uncharted between destinations, allowing ourselves to be surprised by what we discovered. 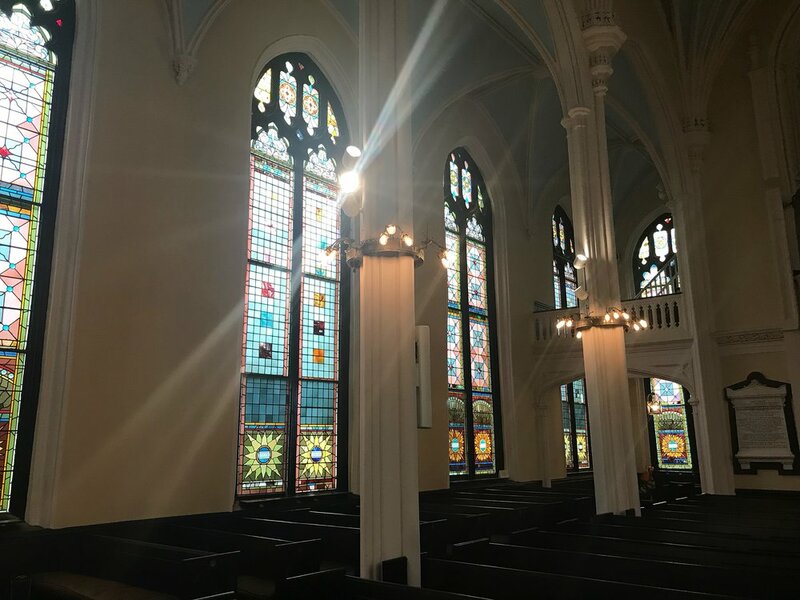 Our interest was piqued by an eerie, overgrown cemetery at the Unitarian Church in Charleston, many of the tombstones dating in the 1800's and so old, the names could barely by deciphered. 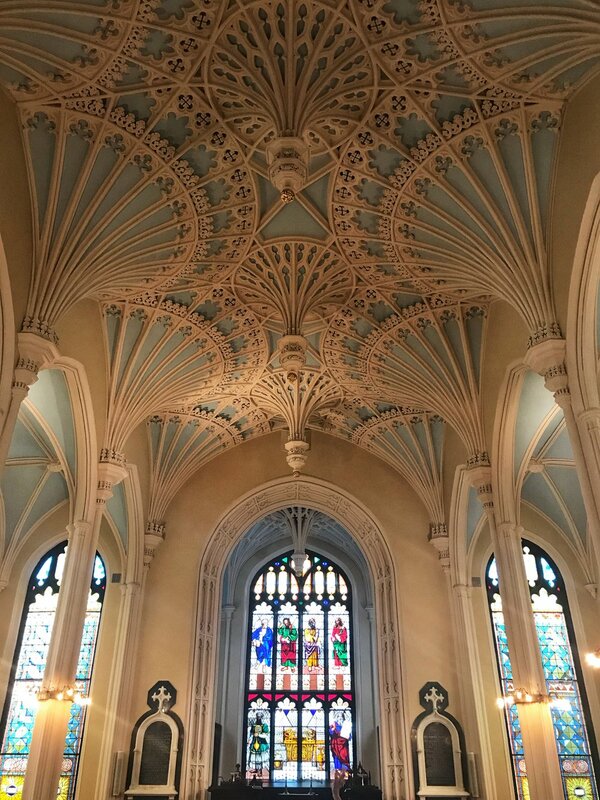 We stepped inside the church and were greeted by a historian who was happy to answer our questions about the architecture and the buildings historic past. For history buffs, you can tour many of the historic mansions and plantations throughout Charleston. 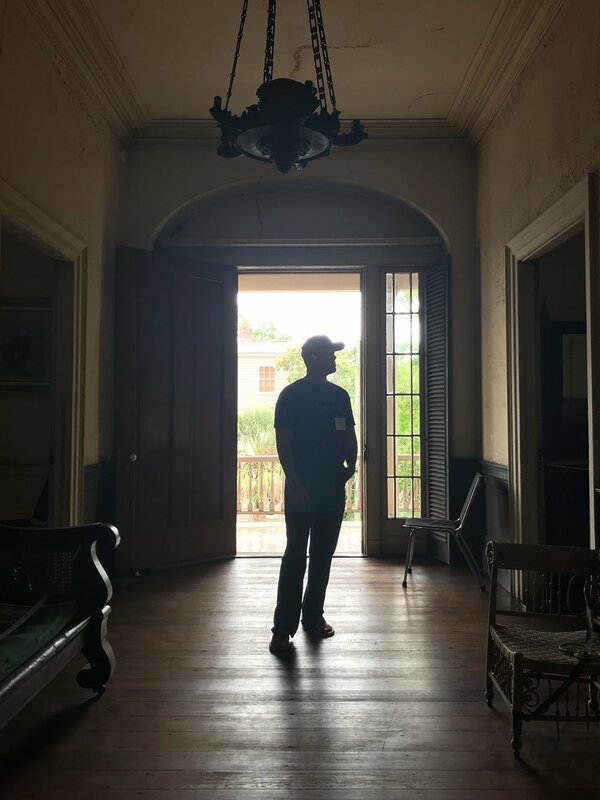 We decided to tour the Aiken-Rhett House because, unlike some of the restored homes, it has remained virtually untouched since the 1850's. From the original slave quarters to the extravagant furnishings, this home was an intriguing representation of how the wealthy lived in antebellum Charleston. The food establishments in Charleston do not disappoint. Lewis Barbeque is the only restaurant we repeated from our first trip because following their Instagram had us craving it all year. Their Texas-style meats are cut-to-order and served on a big tray perfect for grazing. We made it down to Sullivan’s Island to try local favorite, Home Team BBQ, starting with the mac-n-cheese fritters with a pineapple sauce and some cold local draughts. For a southern-cooked brunch, Poogan’s Porch is a quaint hotspot stationed downtown in a historic townhouse (reservations recommended). The homemade biscuits with honey butter... I don't know what they put in their dough, but I could eat them all day. We had the Short Rib & Eggs and the Pimento BLT, leaving fully stuffed and in need of a long walk. For happy hour, try Minero if craving tacos and tequila or Pearlz Oyster Bar for oysters on the half shell. Blind Tiger Pub is a historic locale serving "upscale bar food" for a bar food price. We split the housemade Bleu Chips and I had the Nashville Hot Chicken sandwich. I've counted something like 30 breweries around the Charleston areas! We only visited two breweries on this trip, but you can sample local brews at every dining establishment. We bellied up at Edmund’s Oast Brewing where I had the best blackened catfish sandwich of my life. Across the tracks, we headed out back at Munkle Brewing to relax in the rocking chairs and take in a skyline sunset. The waterfront on Shem Creek in Mount Pleasant is the perfect place for a celebratory post-fishing beer. It's jam-packed with waterside bars that make for a good time and boat-watching. Saltwater Cowboys is a local favorite that has an extensive selection of "cowboy brown water" (the whisky) and freshcaught seafood. Next door is Red's Ice House, the perfect no-frills joint with an upper deck overlooking the creek. If a sketchy dive bar is more your scene, look no further than Salty Mike’s Deck Bar. It's dark, sticky and overlooking the Ashley River. They have pool tables, a back deck and the coldest beer in town. You'll need one to wash down the superbly-greasy bar food, like the cheeseburger and chicken tenders we inhaled. Taking in Downtown Charleston from the sky is a treat. Atop the upscale Vendue hotel is The Rooftop, a surprisingly laidback bar with picturesque views of the city. Uptown Social is a new neighborhood-style bar where you can expect a party vibe, music, a butterfly mural and frozen drinks like the "High Noon Grapefruit" frose. For craft beer connoisseurs, the "hidden" Pour Taproom is a self-serve taproom with a staggering lineup of local brews and a killer view of the Charleston skyline. My newfound favorite bar is reincarnated corner store, Harold's Cabin. What started as a snow cone shop in the 1920's evolved into a bustling corner store. The place was modeled into a mountainesque eatery/general store in 2016 by Yarrum Properties featuring none other than local celebrity, Bill Murray. Bar Mash is a super-hip whiskey and beer bar presenting their craft cocktail menu in an empty jewel CD case (CDs are the silver discs on which we used to listen to music). They serve up weekly food and drink specials, live music and plenty of games like corn hole, shuffle board and a retro arcade game. As always, thank you to our extraordinary tour guides and friends, Adam & Kristen. Your thoughtful itinerary shows us the best of Charleston every time. And thank you to everyone who helped make our trip memorable: Capt. Jamie Hough, Wilds Drake and my cousin, Joe Benton. What are your Charleston favorites?